I never turn down free food, especially when it’s from Chick-Fil-A. Download their App to get a free chicken sandwich. 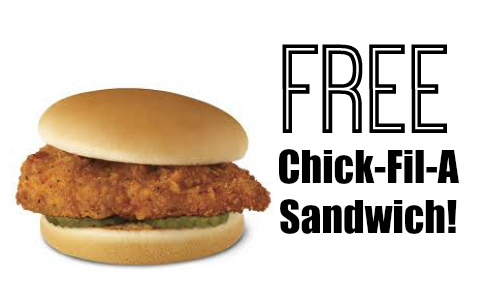 The regular chicken sandwich, spicy chicken sandwich, and grilled chicken sandwich is included. After downloading the App, your sandwich coupon will be loaded onto the App between 6/1-6/11. You’ll have until 6/30 to redeem the offer. See more info here.